The Academia Waltz comic strip, published in the Daily Texan in the late 1970s, was the predecessor to Berkeley Breathed's Bloom County series. Breathed's first 'Bloom County' strip since 1989 was posted to facebook last week. Fans reacted with excitement online after Breathed posted a new Bloom County strip, featuring Opus the Penguin, to facebook last week. He’s since posted five more, and has said he plans to continue to create and post new strips online, though they won’t likely be returning to the print format. Breathed's second strip released via facebook. “I’ll publish on Facebook, as that’s where my old school readers can reach me,” he said. “I want to hear from them — hear how my characters played a role in their lives — hear how they might still…. Breathed's said he plans to continue to produce new Bloom County comics and post them on facebook. But, before his years of success and relative fame during the 1980s, Breathed studied at the University of Texas at Austin, where he contributed cartoons to the Daily Texan. He called his recurring Daily Texan strip The Academia Waltz, and like Bloom County, it dealt with the social and political issues of the day, seen through the eyes of animals and humans — and sometimes UT students, faculty and institutions. His Bloom County character Steve Dallas had his original debut in the student publication. 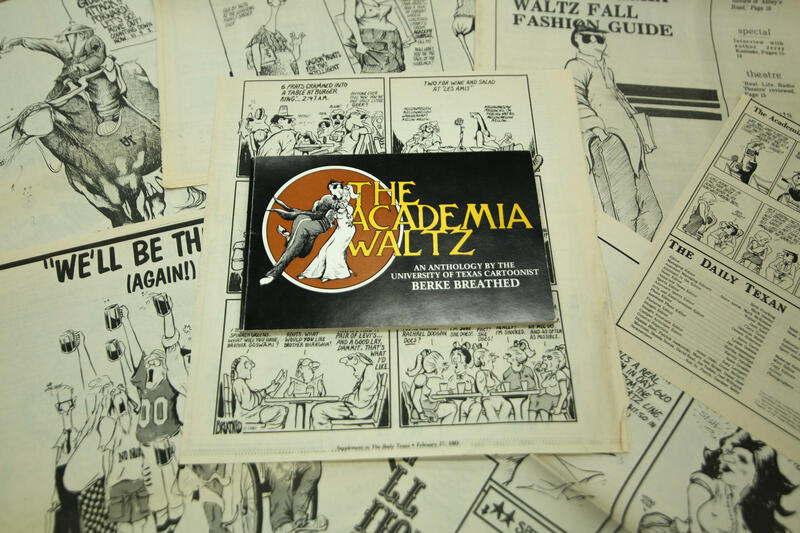 One of Breathed's 'Academia Waltz' strips from the late 1970s. The University’s Briscoe Center for American History maintains an archive of Breathed’s work in a scrapbook that’s accessible to the public. Breathed's Academia Waltz strips will be released in an anthology next month. 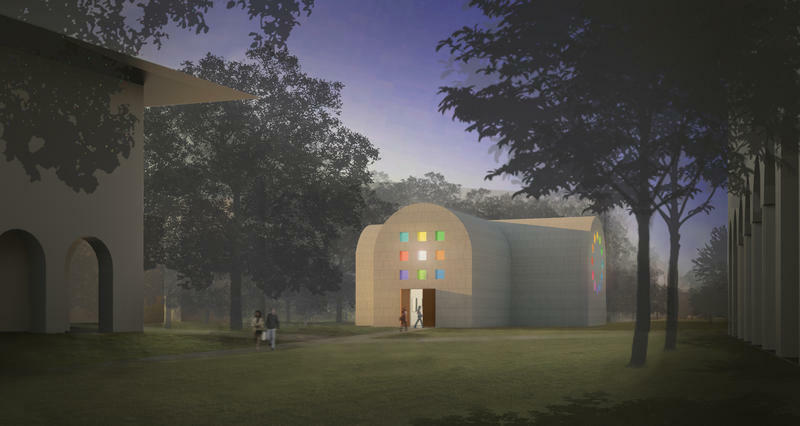 UT-Austin's Blanton Museum of Art has acquired and will construct an original work by artist Ellsworth Kelly. The price tag for the construction is $15 million, but the work is more than a sculpture or an installation – it's a 2,715-square-foot building. Kelly designed the piece, now titled "Austin," in 1986, and he hoped that it would one day be built in a public space. The work will feature a redwood totem sculpture, black and white marble panels and colored stained glass windows.